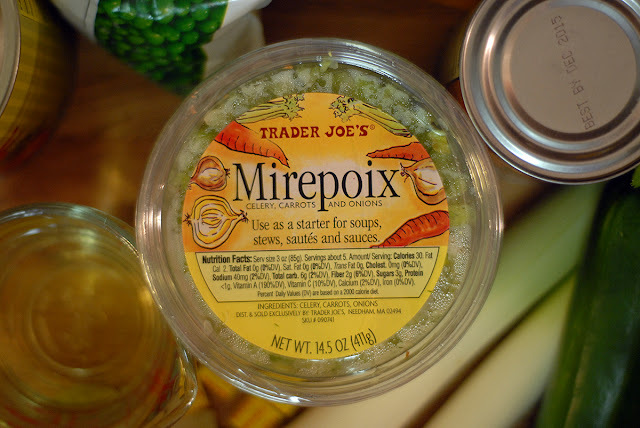 To me, the story of soup starts out with minestrone. Minestrone is like the backbone of all things soup. A little olive oil, as many vegetables as you can fit into a pot, drowning in rich, comforting stock. Science has nothing to do with soup, it's organic. It has everything to do with your taste buds. 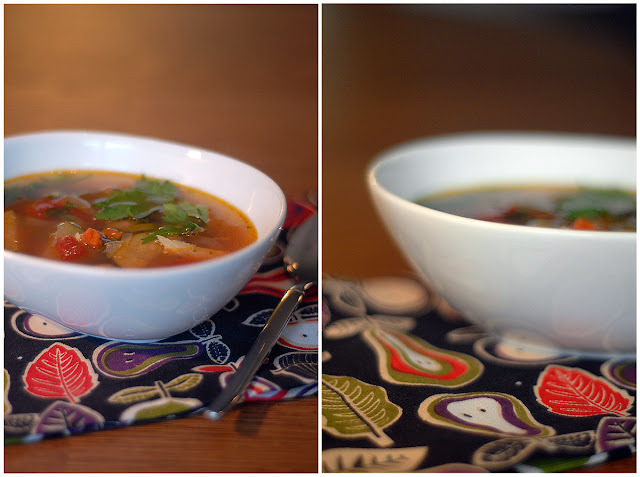 Start with the basics and follow your mouth to a satisfying bowl and the end of the day. This morning I crawled out of bed, enjoying the silence and got to work in the kitchen — creating a dish I knew creates an atmosphere of comfort. 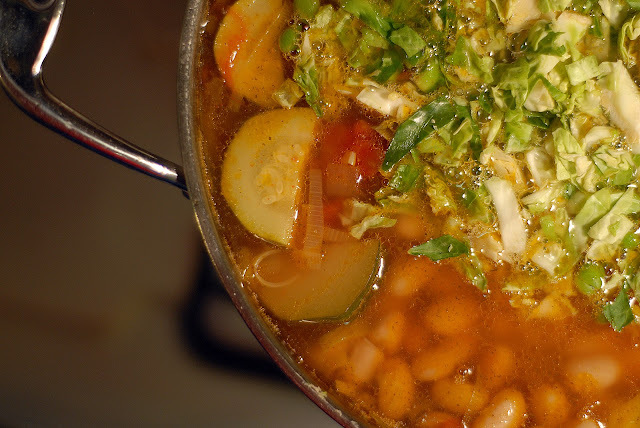 A large pot of chunky minestrone soup. 1. 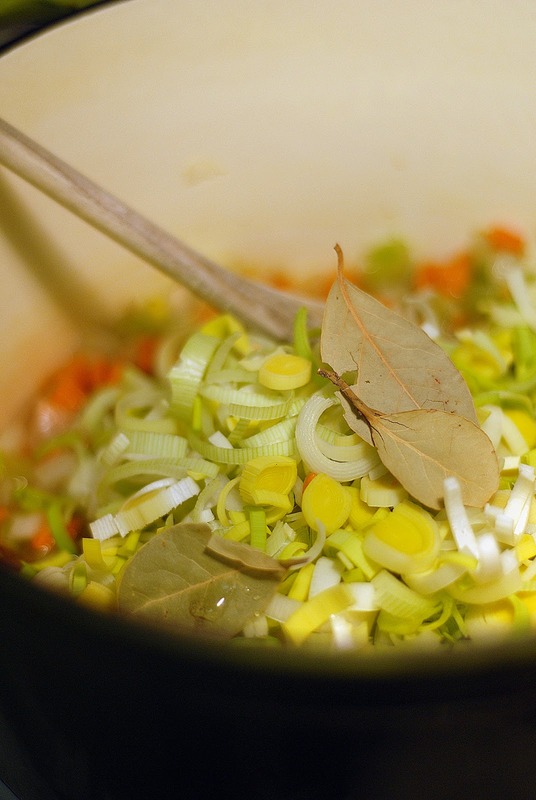 In a large stockpot, heat a generous amount of extra virgin olive oil. 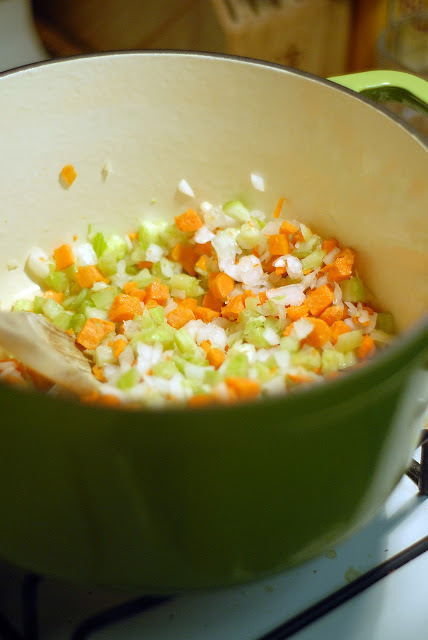 Add the mirepoix and cook over moderate heat until slightly translucent, about 8 minutes. 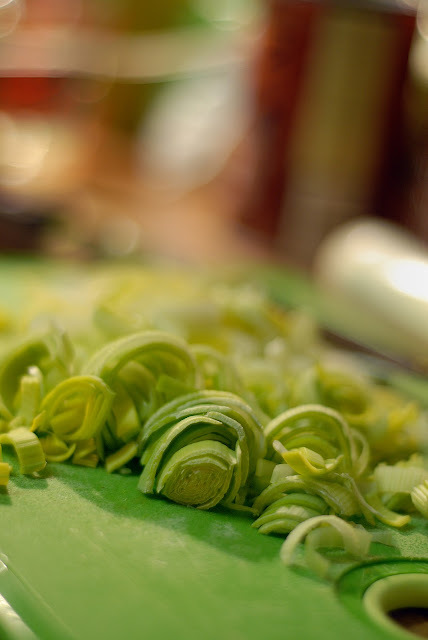 Add the wine, leeks and bay leaves, cook, stirring occasionally, until the vegetables are softened, about 12 minutes. 2. Remove bay leaves. 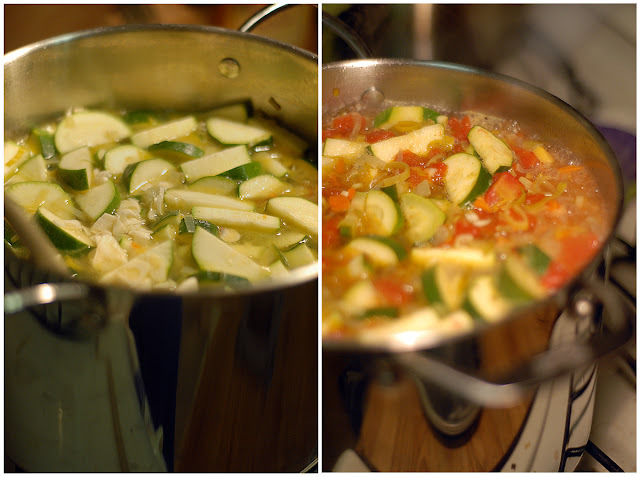 Add zucchini, water, bouillon cubes, diced tomatoes (and the juices), garlic, salt and pepper. Simmer for 20 minutes. Add the beans, peas, shredded brussels sprouts, and parsley and simmer for about 3 minutes longer; season with salt and pepper. 3. 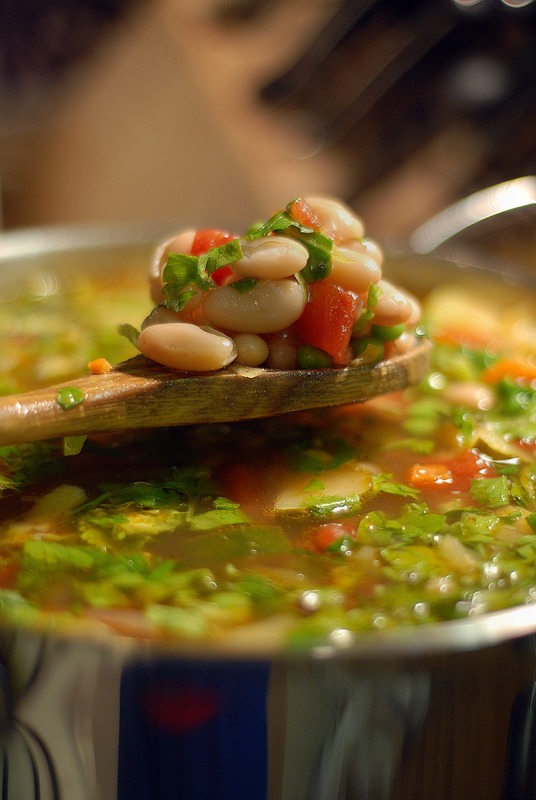 Ladle the soup into bowls, garnish with a drizzle of evoo and a sprig of parsley. 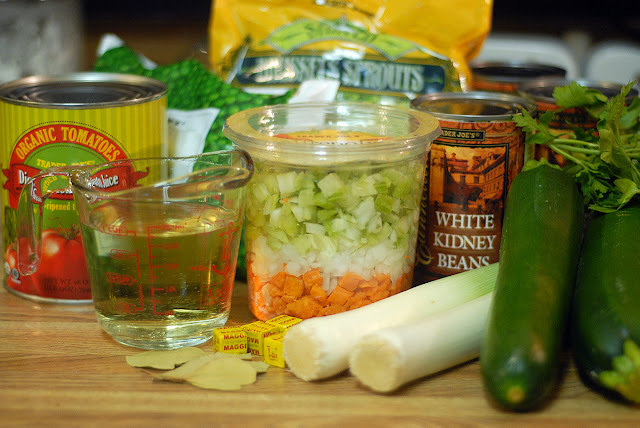 Everyone makes a variation on minestrone. What is your special ingredient that "makes" your minestrone? subject matter or did you modify it your self? Anyway stay up the nice high quality writing, it's uncommon to peer a nice blog like this one today..
) I may revisit once again since i have saved as a favorite it.